Are you ready for some football? 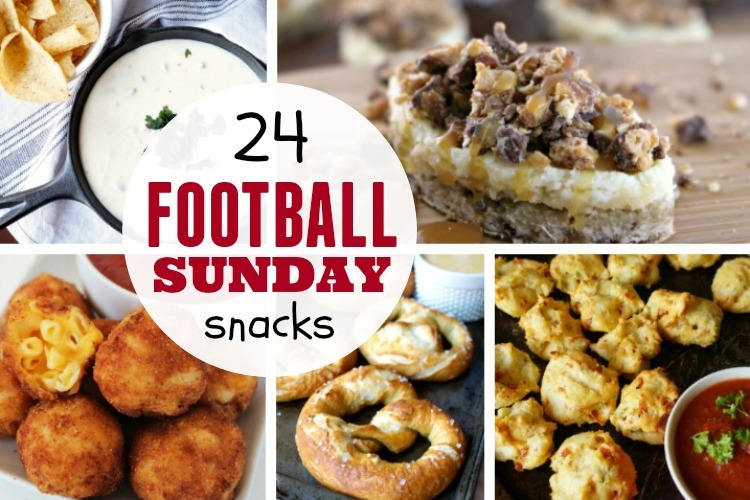 Whether you’re gearing up for the Super Bowl, tailgating, hubby’s Monday night in the mancave, or simply a Sunday football afternoon, one thing is certain… you’ll need some fantastic football foods to keep the crowd happy. Even if the game isn’t a win, the snacks sure will be! These fantastic Football Sunday Snacks are going to have everyone in the house cheering! 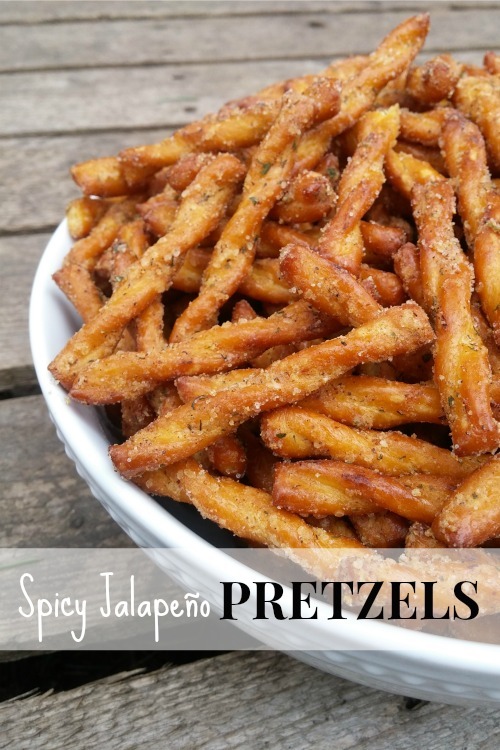 Although chips and dip are always a popular choice, they are a little (okay, a lot) overdone and… if I’m going to consume that many calories, it’s not going to be on a greasy chip! Heck no, give momma some grease and chocolate! Soooooo…. what does a woman do when she needs a new recipe? She surfs Pinterest, duh! There is so much creativity with the finger foods, appetizers and snacks! The possibilities are endless. Seriously, it’s so amazing to see what you could do with some chicken wings, cheese, and miniature hot dogs. There’s even variations of guacamole out the wa-hoo! 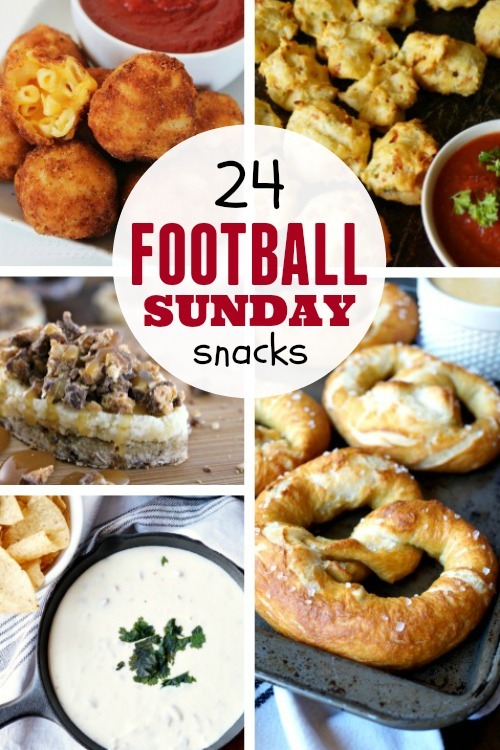 So today, I rounded up 24 fantastic football snack ideas from around the internet and I’ve added our personal Makeovers & Motherhood favorites. Let me tell you… it’s gonna be some good football eatin’ going on! Enjoy! OMGee! These little zingers are always a huge hit with our guests! It’s a little ranch, and a little salt and butter topped off with a jalapeño punch of heat at the end! Sooooo good! 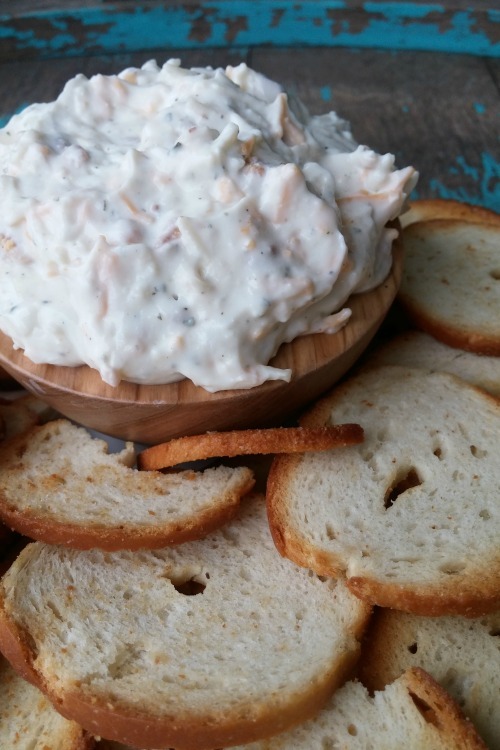 Anything made with bacon is the best, but seriously this dip will knock your socks off! And the best part is… it’s healthy! Your guests will love that it’s big on taste, but low in calories! 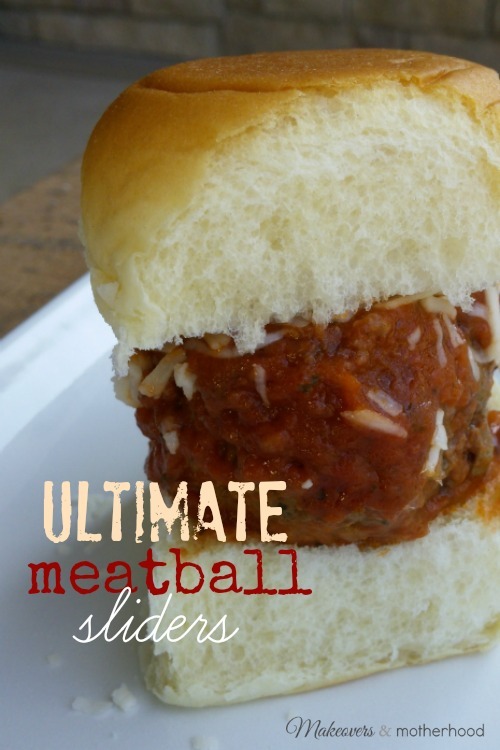 Ultimate Meatball Sliders… this little sandwich is a big win! Happy eating, friends! Hope your football snacks are a huge score! Tell me if you’re willing to try any of these! What do you serve for your football gatherings? This a great go-to list for snacks for any game day. Now that the big game is over, I'm looking forward to college football season in the fall.